The 2015 Hyundai Veloster is especially intriguing as it combines the sharp looks of a 2-door coupe with the practicality of a 4-door sedan. The unique 3-door Veloster will provide buyers with lots of available features, distinctive styling, a fuel-efficient engine, and a long warranty coverage to boot. Consumers on a budget and in need of a small sedan that falls under the $20K price range, may be interested in taking a look at the new 2015 Hyundai Veloster, available with a starting price $18,299 MSRP at Kitchener Hyundai. The 2015 Veloster, which Hyundai says incorporates an aggressive adaptation of their “Fluidic Sculpture” design language, is a unique 3-door coupe that offers one door on the driver’s side while also including two doors on the passenger’s side for easy rear-seat access – something we expect to see from a 4-door sedan. Available in several models, ranging from the Base Manual and DCT (Dual Clutch Automatic Transmission), the SE Manual and DCT, and Tech Manual and DCT, the 2015 Veloster looks sporty, is fuel efficient, and can be equipped with a range of available features. Under the hood, consumers will find a small yet powerful 1.6-litre 4-cylinder engine with gasoline direct injection, capable of delivering a total 138 horsepower and 123 pound-feet of torque under the hood of their 3-door coupe when coupled to the easy-shifting 6-speed manual transmission. Buyers can also choose to pair the engine with a 6-speed EcoShift Dual Clutch Transmission with steering wheel-mounted paddle shifters. When equipped with the latter, the combined city/highway fuel economy rating is 6.5 liters per 100 kilometers. 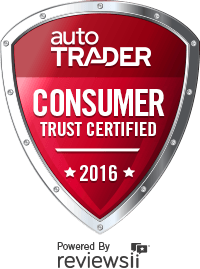 Buyers interested in the 2015 Veloster but seeking something with a little more power can opt for the Veloster Turbo, which ups the ante with its impressively refined 1.6-litre twin-scroll turbocharged engine generating 201 horsepower. It also includes Active Cornering Control and Active Sound Design. On the inside, the cabin layout and overall style seems high-tech, and is very appealing. High gloss black interior accents, black plastic door trim with leatherette inserts, a door armrest with leatherette, and alloy pedals are available for those seeking to beef up the interior style even more. In terms of comfort and convenience elements, buyers can also opt for heated front seats, a leather-wrapped and heated steering wheel, and cruise control. An 115V power outlet and push button start is also available. Finally, when it comes to entertainment, an AM/FM/CD/MP3 player with 6 speakers, a 7-inch high-resolution touch-screen, and iPod and USB input jacks are standard. Consumers can also opt for features like a rearview camera, navigation system, and satellite radio, among other elements. 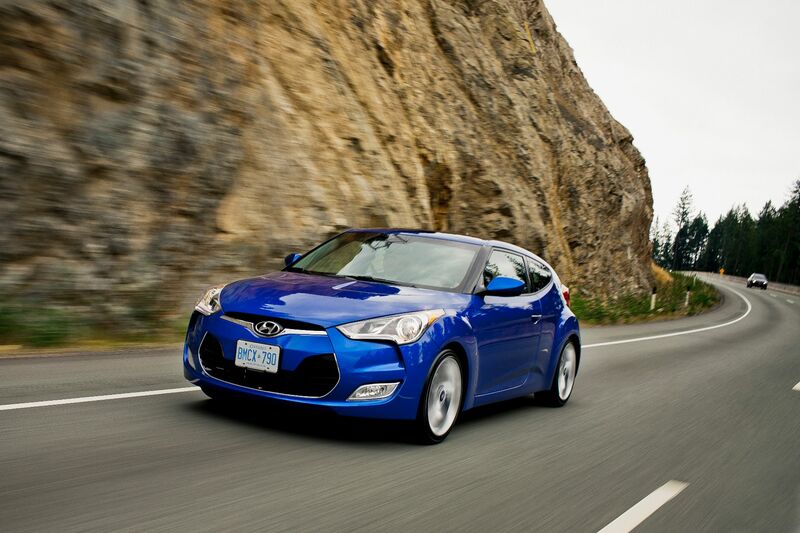 The 2015 Hyundai Veloster is distinctive with its 3-door setup, and coupe/sedan styling combination. With rear-folding seats for increased cargo volume, tasteful interior design, and lots of available features to enjoy, the 2015 Veloster is certainly worth a look, especially when considering its under $20K MSRP base price.